General Donation: Supports ASLTA's current projects. LF2 Fund: Supports leadership training and development. This fund honors Lawrence Fleischer (1945-2009) and Laurence Forestal (1939-2011), both former Presidents of ASLTA. L1 Initiatives Fund: Supports projects benefiting Deaf children learning ASL as a native language. Established by Timothy "Timo" Owens (1956-2015), ASLTA President and a staunch advocate for Deaf children's language and social development. Riggs Fund: Supports state-level ASLTA chapters. Thomas Riggs (1953-2009) was a longtime advocate for local ASLTA chapters, and served on the ASLTA Board as the Chapters Chair for many years. Please indicate the intended donation category in the notes below when you enter your payment amount (otherwise general donation will be selected). ASLTA deeply appreciates the financial support of our members, friends, and community partners. If you prefer to not be listed here by name, please include your wish to remain anonymous in the Notes section of the donor form above. Help ASLTA Reach The Goal! 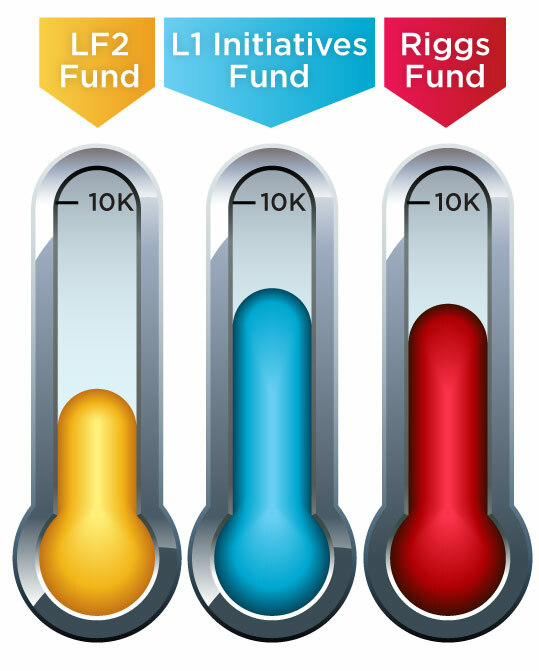 Once each restricted fund reaches the $10,000.00 level, grants can be made to further ASLTA’s work.